Join hundreds of task forces around the world in meaningful demonstrations of interfaith and intercultural understanding that are foundational to the global peace-building to which we are so deeply committed. 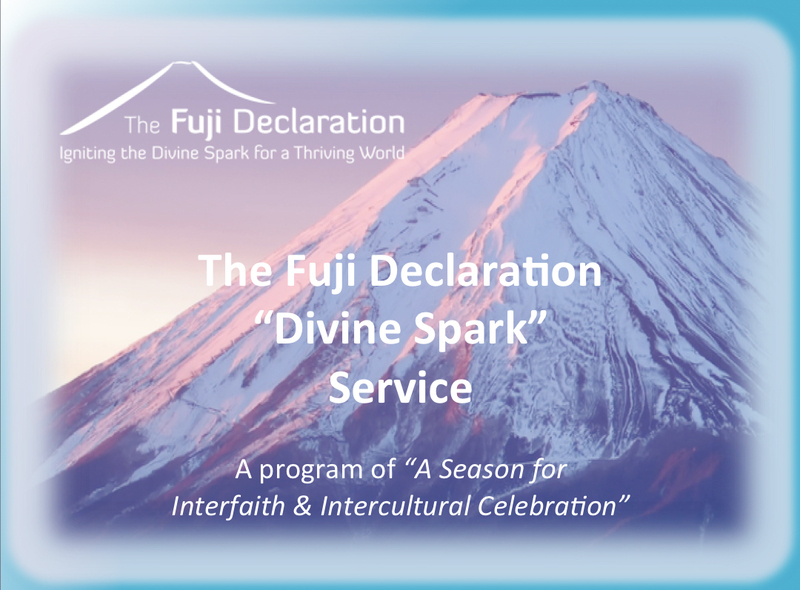 The Season for Interfaith & Intercultural celebration is delighted to support the Fuji Declaration, one of the finest examples we've seen of how a written statement of vision and purpose can bring about major shifts in society and culture by engaging the inner values of every human being, regardless of religious or spiritual orientation. AGNT has created the templates and other materials to make it easy to create your own Anniversary Service on September 11th. In 2001, the General Assembly by unanimous vote adopted resolution 55/282, which established 21 September as an annual day of non-violence and cease-fire. The United Nations invites all nations and people to honour a cessation of hostilities during the Day, and to otherwise commemorate the Day through education and public awareness on issues related to peace. Anyone, anywhere can celebrate Peace Day. It can be as simple as lighting a candle at noon, sitting in silent meditation, or doing a good deed for someone you don’t know. Or it can involve getting your co-workers, organization, community or government engaged in a large event. 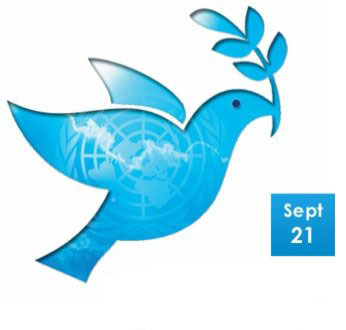 You can also share thoughts, messages and pictures to commemorate Peace Day on social media. Coinciding with the Season for Interfaith & Intercultural Celebration AGNT, partnering with Humanity's Team, invites New Thought centers to join in the fourth annual Global Oneness Day (G.O.D.) on October 24. On what is also officially United Nations Day, meet your global spiritual community to celebrate our Oneness, enjoying in real time the magnificent diversity and interconnectedness of the whole human family. CLICK HERE to learn more and REGISTER for the FREE Telesummit taking place from morning to evening on October 24th. A template for a G.O.D. Service is available now to New Thought and all spiritual centers that plan to participate in Global Oneness Day. 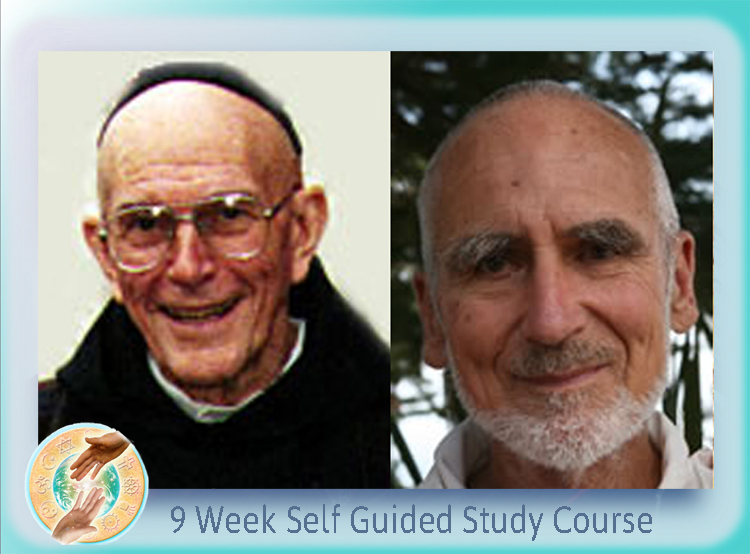 This FREE material is based on a series of exclusive, original edited recordings with spiritual leaders from cultures across the globe, created by the Association for Global New Thought and the International Committee for the Peace Council.